Mr. Gruber joined us in 1992 and continues to serve as New York Litigation Counsel. He has developed a diversified commercial litigation practice representing public and private companies and individuals in a wide a range of issues in litigation and dispute resolution. An experienced litigator and accomplished trial attorney, Mr. Gruber has crafted the legal strategy for a broad range of civil cases and arbitrations. Mr. Gruber has represented plaintiffs and defendants in various matters across a spectrum of substantive areas, including commercial disputes, business torts, partnership disputes, real estate, construction, creditors’ rights including bankruptcy, securities, telecommunications and general business law in the federal and state trial and appellate courts and before various arbitration panels, including the American Arbitration Association and the National Association of Securities Dealers. Mr. Gruber has also represented clients before the Securities and Exchange Commission. 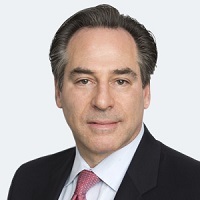 Mr. Gruber has also represented landlords, managing agents and businesses in connection with the structuring and negotiation of commercial real estate leases, as well as litigation that has arisen out of, or in connection with, such transactions. Mr. Gruber has lectured for various professional groups and organizations including the Nassau Academy of Law on points of legal procedure and litigation. Syracuse University College of Law: JD, Notes and Comments Editor Syracuse Law Review.